Is your French as rusty as an old can? Did you live in France years ago or study it in high school—and promptly forget everything upon leaving? The fact is that language ability fades with lack of practice. If you used to know French but haven’t spoken it in years or decades, the bad news is that it probably won’t come rushing back all at once. But the good news is that you can relearn it much more quickly than if you were starting out without that previous knowledge. Here’s how. The first step is to figure out where you are right now. You might think that you don’t remember anything, but a written or spoken assessment will almost certainly find that you do. 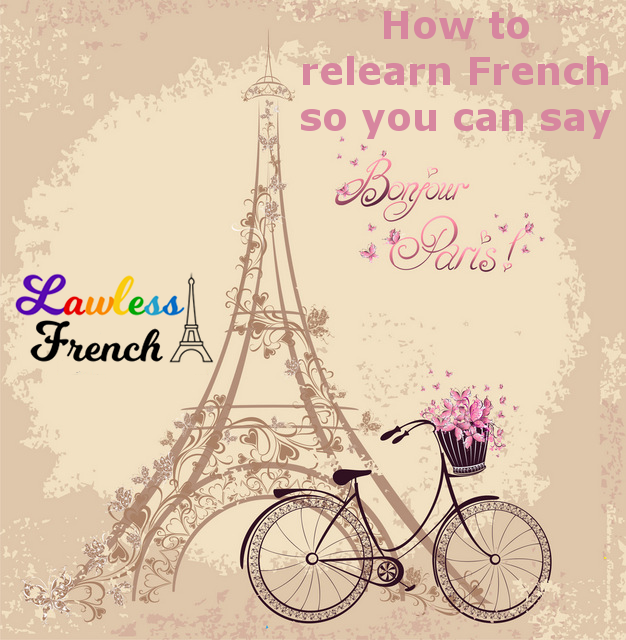 Progress with Lawless French offers a comprehensive grammar test (70 questions) that will spot check your French from levels A1 to C1, starting with basic grammar and working progressively up to advanced. If you don’t know an answer, skip it, and if you get to a section where all the questions are impossible, just scroll to the end and submit. After you confirm your email address, you’ll receive your score as well as a personalized study plan so that you know exactly what to work on to consolidate what you already know, fill in gaps, and learn new material. Knowing grammar is essential, of course, but can you actually communicate? Find out by setting up a chat with an online instructor, whether face-to-face or via video chat. Clicking either of these links will take you to a database of hundreds of French instructors whom you can email, free of charge, in order to explain your situation and find out how they can help. For example, you might tell them that you used to speak French and want to pick it back up for a trip to France next year. The instructor will likely suggest a guided conversation to determine what you know and don’t know, and then explain how s/he can work with you to meet your goals. In addition to following your PwLF study plan and working with an instructor, it’s essential to study and practice on your own. 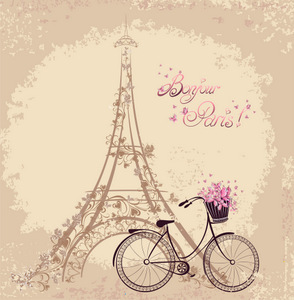 Watch movies, listen to music, and find more ideas at daily French practice. In particular, check out my listening comprehension exercises and reading comprehension exercises. Or try Get Up To Speed (G.U.T.S. ), a fun, online program structured like a play between a French tutor and her students, with dialogs, lessons, and assorted exercises. Be sure to practice speaking French. If there’s any way that you can take a trip to France or another French-speaking country, do it! You’ll be surrounded with opportunities to practice and get a real sense of where you’re still lacking. And if you’re anything like me, you’ll find it inspiring and invigorating to be using your French in real-life situations rather than artificial ones. Every month or so, you should reassess your French. PwLF does this for you automatically, tracking your level and continuing to offer new material when you’re ready for it. Your private tutor can also help you analyze how far you’ve come. Once you’ve determined where you’re still having trouble, go back to step 2, rinse, and repeat! It’s impossible to say – it depends on how much you remember, how much time you put into study and practice, and how much new material you want to learn. Bon courage !